Advisor to Martin Luther King. Nanette Dobrosky (ed. 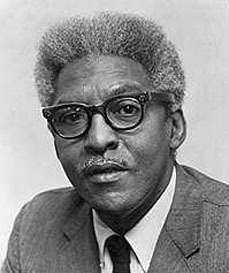 ), The Bayard Rustin Papers (1988). Some other sources give a birth date of 1912. This particular source was compiled from Rustin's papers in the A. Philip Randolph Institute, now at the Library of Congress.